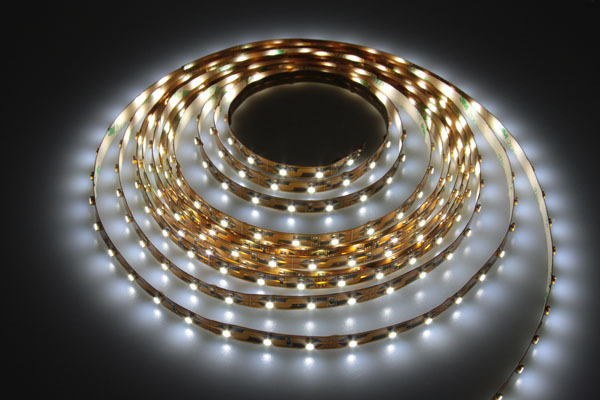 Our Pure White LED Flex strip is 5000k color temperature. They are very bright and easy to install. An easy, durable method for adding LED lighting in almost any location! These flexible LED strips can be easily placed under counters in kitchens, office kitchens, behind TVs, under cars, behind a hanging mirror, or picture in your home or office, use them in your boat or as cove lighting and accent lighting.